If you've heard of Yik Yak then you know it's an anonymous app for college students that basically allows them to say what they want to say without people necessarily knowing it's them. This can be practical and fun, but it has also led to negative situations in the past. This and the repetitiveness of what you'll see people post can make the app tiring, and a few people have started moving on even before they leave college. Now Yik Yak is trying to change that by making the app less anonymous and more local, which means they could be thinking about opening it up to more than just US college students. The last thing we heard about Yik Yak was that they were introducing profiles but you didn't have to make one. Now that's changing - all users are going to have to make profiles and share a picture. This isn't the only change either, and in fact Yik Yak is pretty much becoming unrecognisable. The #Now tab is where you share your statuses and they're encouraged to be about what you're doing. You might be hanging out at the park or going to a concert later that day and it means that you can find out who else is going to be there. This could be a great way to make new friends if you're not shy but it could also be risky. These statuses can only be 18-characters and they'll show up on both your profile or in the #Now tab at the top of the main feed. As well as this there's now a little section titled Local Yakkers in the Explore tab which was renamed from Herds. In that section, you'll be able to see up to 100 people who are on Yik Yak where you live. You'll just see their username and picture but if you tap on them you can explore their entire profile. The explore tab is also where you'll find the trending topics which could be another way to make friends. Yik Yak is aware that these new features could make their app seem a little more like a dating app. If you see someone you like then you can start flirting with someone straight away but they want Yik Yak to be more focused on friendships. They're localising it so not only can they grow but so people can keep using it to make friendships when they're home for the summer or even when they've finished college. This could wind up being a really good thing but a lot of Yik Yak users are incredibly upset about losing the app they knew and loved so this could wind up being Yik Yak's downfall. 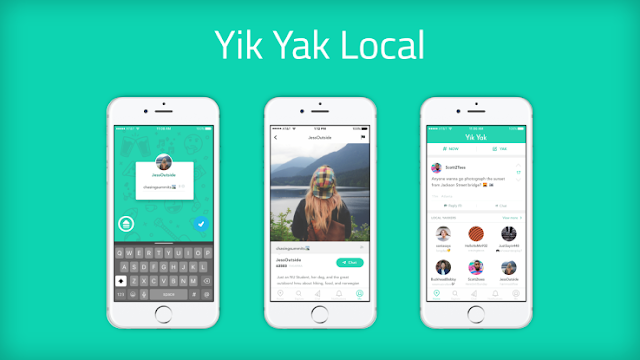 This new update should have already rolled out, so why not check out Yik Yak and make your world feel small again.